SuperSoul Brunch is a FUN, one-of-a-kind brunch experience, where spiritual seekers can enjoy good food, and receive spiritual teachings and personal intuitive readings that will help them heal and flourish their lives. You may have heard of a “lunch and learn” event? Well, this is a brunch and learn experience for your soul. 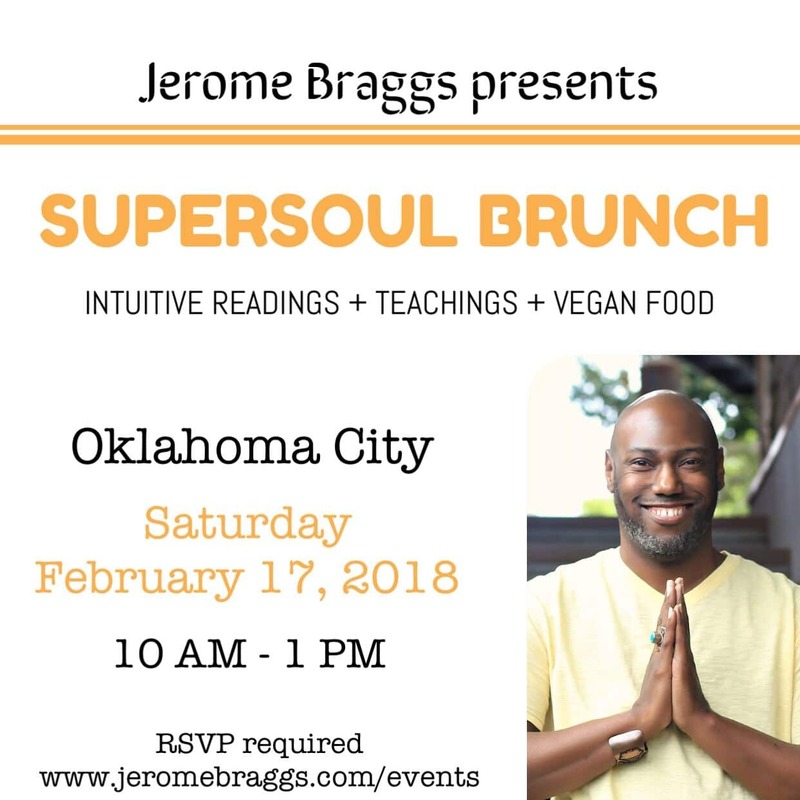 During this brunch, Jerome will teach on “How to Live the Life You Truly Love in 2018” and offer live Q&A, AND intuitive readings to attendees.